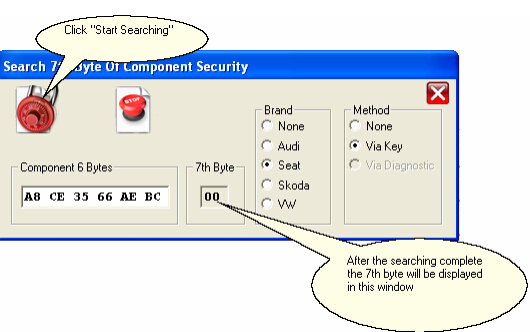 Find out and write VAG 7th Byte CS requires Tango software version 1.112 or above. 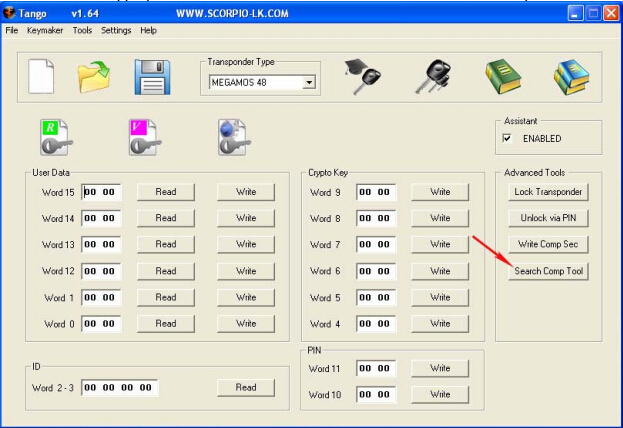 Tango key programmer software updated to V1.112 on May 9th, 2018. How to find VAG CS 7th Byte in Tango? in couple of the Motor Unit (ECU) and the immobilizer. 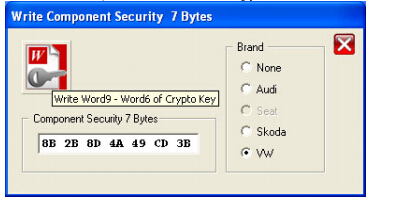 The CS is a part of the Crypto Key and fills its upper area Word9-Word6. In common practice it is possible to get the first 6 bytes of CS. The last, 7th byte is unknown. key. Thus, to use this tool, it is needed to have at least one valid key. At this example the CS assumed as A8CE3566AEBC and a car is Seat. 3. Now all is ready to start searching. Put the valid existing key into the programmer coil. valid, the process will be stopped. Operation takes up to 1 min of time. How to Write CS 7 Bytes with Tango? the CS should be extracted from another devices, for example it may be a dashboard. manually into a transponder. Let’s see an example of ECU BOSCH Motronic M7. The CS has been marked in the blue color. Select the vehicle brand and press the Write button. Temporary the Seat brand is unavailable.